Shoes fascinate women of all ages and have the power to crystallise a moment in fashion. In VOGUE: THE SHOE, Harriet Quick has curated more than 300 fabulous images from a century of British Vogue, featuring remarkable styles that range from the humble clog to exquisite hand-embroidered haute couture stilettos via fetishistic cuissardes and outrageous statement heels. The images are grouped into five thematic chapters devoted to dazzling Cinderella heels; Town & Country classics; Cult Style inspiration; the escapism of Summer Dreaming and the extreme heels of Fetish & Fantasia. The images include pivotal work from Hoyningen-Huene, Irving Penn, Corinne Day, Norman Parkinson, Mario Testino and Nick Knight. 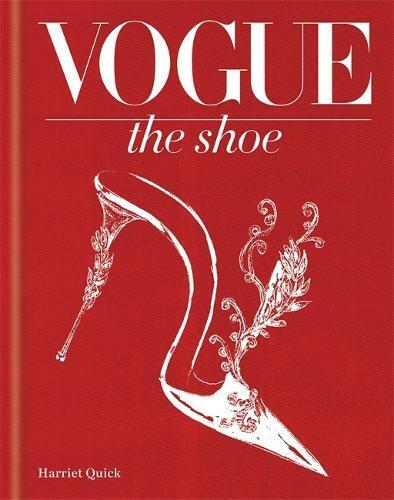 VOGUE: THE SHOE is the latest title in the prestigious Vogue portfolio series, which launched in autumn 2014 with Vogue: The Gown, followed by Vogue: The Jewellery in autumn 2015.